“I just can’t find anybody that is interested in my loan!” He was distraught, frustrated and incredulous as he described how his banking relationship of 15 years had denied his loan. “We’re sorry, multifamily finance is not in our wheelhouse. We like cash deposit accounts, payment card servicing, credit cards … but to do what you’re asking … the regulations ….” He said his personal banker rattled off a plethora of reasons why he couldn’t help. The reason for this customer’s distress? He had a small balance loan on a multifamily residential property. He needed to refinance, to pull some cash out for repairs and he had his eye on another small complex that was the perfect complement to his already successful complex. The problem was the loan amount was just too small, only $1.5 million, not enough for his bank to get involved. This scenario is played out many times in many different variations all over the nation. Financing for multifamily residential developments that are brand new or A-Class has been easy to come by but try to finance a multifamily development with a small balance loan from $1 million to $5 million and the availability of capital has been scarce at best. Until recently, multifamily finance for small balance loans has been hard to come by, but with new programs from industry leaders like Dividend America Commercial Lending, locating multifamily financing for small balance loan amounts has become much easier. With loan rates below 4% in some cases and amortization periods up to 30 years, small operators are finding the capital they need to maximize returns and expand their portfolios. 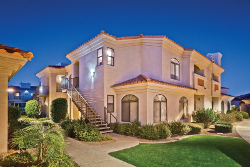 Dividend America Commercial Lending provides small balance loans for multifamily residential through its flexible Enterprise Funding Program where they leverage GSE sponsored programs to provide aggressive terms, up to 80% LTV in most cases, to the operators of B-Class and C-Class multifamily residential developments. Find out what they can do for you by applying online or just send an email with your scenario to moc.a1555827049cirem1555827049adned1555827049ivid@1555827049ofni1555827049 today! Multifamily finance and small balance loans in all 50 states across the US!